If gorillas are your little girl's favorite animal, why not print out this gorilla mask coloring page? 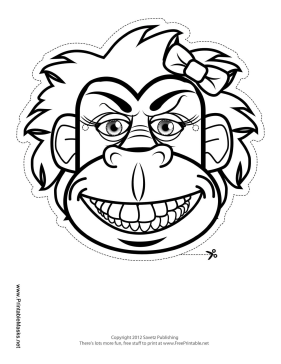 This lady gorilla outline has long eyelashes and a bow for a feminine touch. This mask is free to download and print.